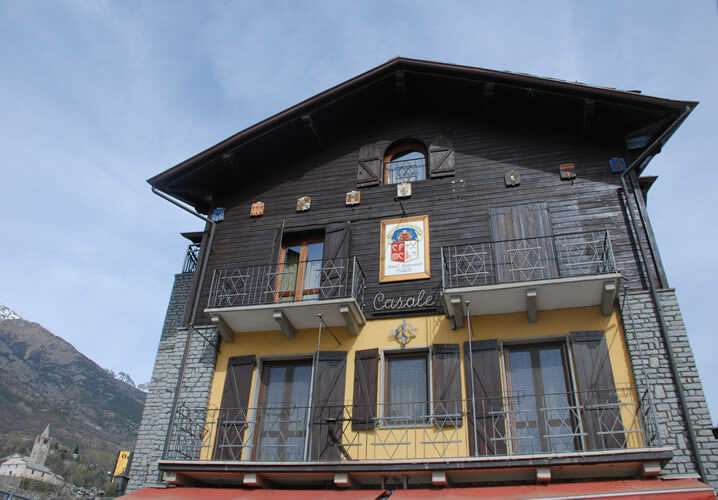 Situated in St Christophe, approximately 2.5 km from the centre of Aosta, the charming 3* Casale is a long-standing, family-run hotel where you are assured of a warm and friendly welcome. The hotel has a lovely traditional alpine appearance, complemented inside by an interesting array of regional craft and art work. There's certainly plenty to look at in the stunning restaurant, including a fascinating display of wooden friezes, beautifully decorated ceramic plates and a huge painting covering almost a whole wall (remember to ask the owner the story behind the latter!). All 25 rooms have private facilities (all have showers, no baths), hairdryers and a TV. All but two rooms have balconies with lovely views along the valley. Rooms mostly sleep 2 - 4 people. 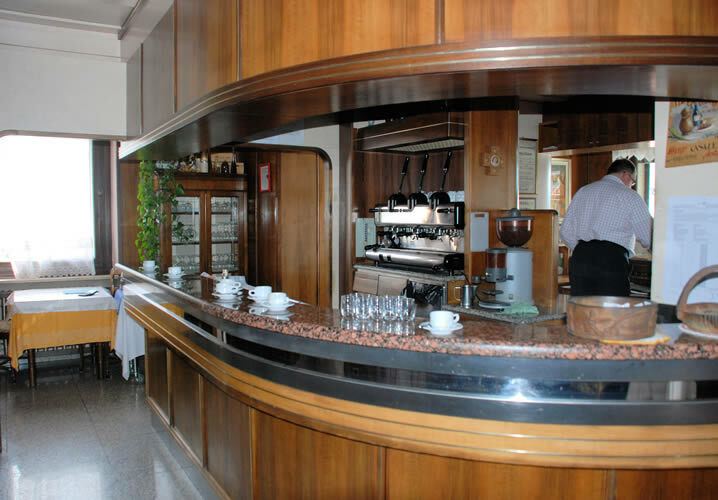 The hotel has a bar, a terrace, comfortable lounge area, a lift and a large meeting/TV room. The food is renowned as being amongst some of the best in the valley. 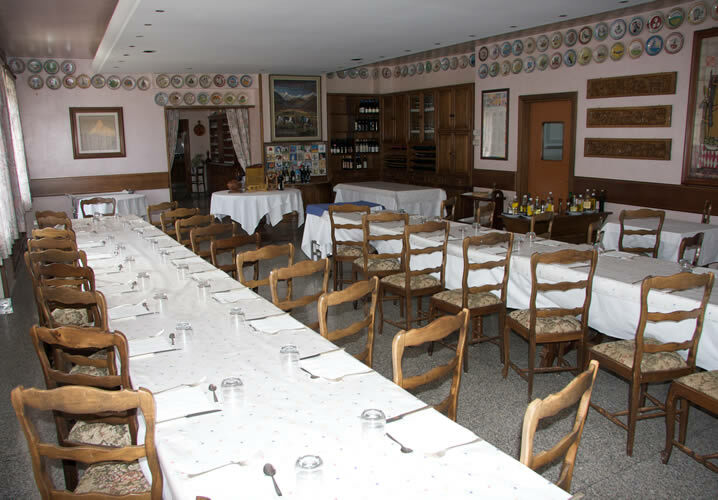 It is one of only a few Italian restaurants to form part of the acclaimed 'Unione Ristoranti del Buon Ricordo' - a private association of gastronomic entrepreneurs, whose aim is to take care of and promote the values of Italian local cuisine. The hotel also boasts free wi-fi and Sky TV. 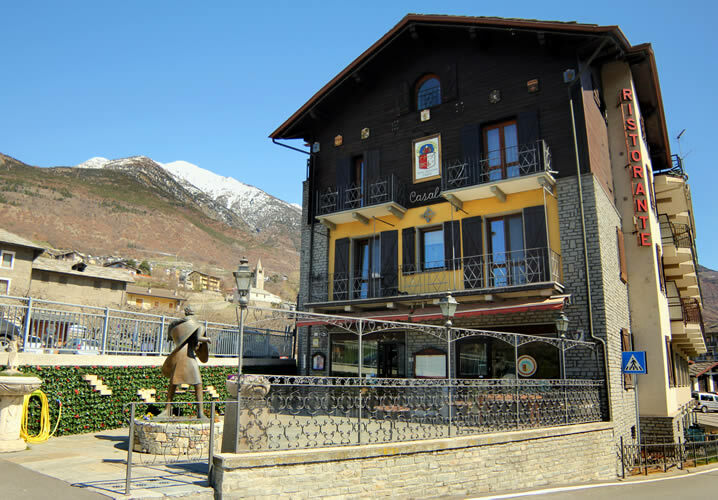 The hotel is approximately 15 minutes by coach from the Pila gondola and there are a few small shops and a post office close by. 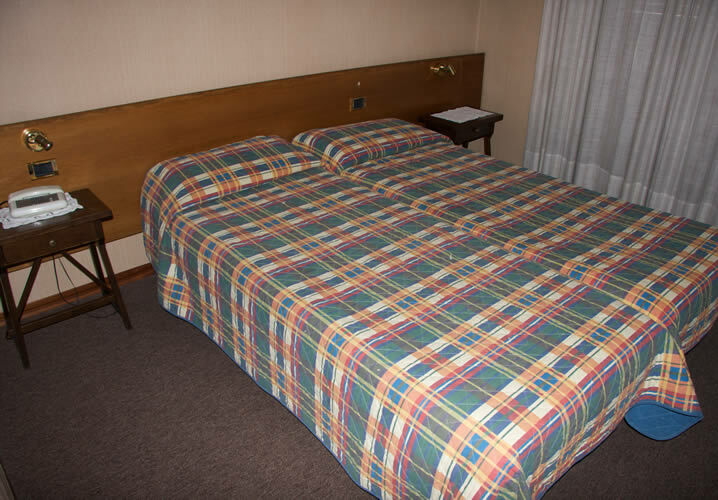 "The hotel is quite charming and the owners/staff were helpful and friendly." "Food was brilliant. Hotel staff have been brilliant." "Claudio and all staff were very helpful and made the stay very enjoyable."